Should the government allow fracking to be integrated into the UK’s energy supply? The recent start-up of fracking tests in Lancashire by Cuadrilla has resurfaced many of the concerns regarding fracking operations in the UK. Fracking involves drilling into shale rock reserves and injecting a mixture of water, sand and chemicals at high pressure to extract oil and gas. Many argue that fracking would strengthen the economy and provide security for the UK’s energy supply, but the industry is controversial for its potentially adverse environmental effects and exploitation of local communities. This article analyses arguments both for and against the legalisation of fracking in the UK and is underpinned by key ethical theories. The Government Should Legislate the Inclusion of Fracking in the UK’s Energy Supply. In 2015, 90% of the UK’s energy imports were oil and gas, and energy imports accounted for almost 50% of the UK’s energy supply . Some of the countries in the Organisation of the Petroleum Exporting Countries (OPEC), from whom we import oil and gas, reportedly have morally dubious values and ethics. For example, Russia and Saudi Arabia who are reported by the Human Rights Watch to be guilty of numerous human rights violations  . Duty ethics argues that a person should perform an action because it is the right thing to do and should not perform actions which are the wrong thing to do. It can be argued that because of the alleged human rights abuse in these countries, it would be wrong to continue importing their oil and the right thing to do would be to stop importing their oil by allowing fracking in the UK to fulfil the demand. In addition, virtue ethics states an action is only right if a virtuous person would carry out said action when in that position. A virtuous person would not import oil from countries with track records of human rights abuses, therefore, importing from OPEC can be deemed unethical and allowing fracking is a more ethical alternative to provide the UK’s oil supply. There is a high potential for job creation from fracking in the UK; backed up by data from the US where fracking created 750,000 jobs between 2005 and 2012 . These jobs will be particularly suited to replace jobs in the UK oil and gas industry, where 60,000 jobs were lost in 2016 alone . Decreasing unemployment by allowing the creation of new jobs is inarguably the right thing for the UK government to do; for this reason, duty ethics supports allowing fracking in the UK in terms of its job creation potential. In addition to this, virtue ethics would support the creation of new jobs as a morally virtuous person would want to decrease unemployment and allow people to improve their quality of life, and would therefore make the decision to allow fracking. Current UK legislation requires that fracking companies give back 1% of their profits to local communities , however, Ineos have suggested they will give 6% of their profits , meaning the government could legislate a higher amount than the 1%. Care ethics argues that individuals who will be impacted by the consequences of a decision should be considered by the people making the decision. The government legislating for this reinvestment in the communities in which fracking is taking place would show an ethical consideration for the consequences on the individuals living within the local community and an attempt to foster a caring relationship between the company and government, and the local community. The Government Should Legislate Against the Inclusion of Fracking in the UK’s Energy Supply. Despite varying claims, insufficient studies into fracking operations mean the environmental impacts are still largely unknown . Leading to duty ethics, is it morally right to allow fracking for short term benefits despite its unknown total impact? High water consumption is becoming of increasing concern as it threatens availability of water resources. Between 2011 and 2016, water consumption in US fracking operations has increased by 770% on average . Additionally, water pollution can occur from fracking fluids leaking into the water supply. This occurred in the early on in the US through malpractice, however the chance of this happening now is very low . Fracking can also lead to ground pollution, with the largest spill recorded being 100,000 litres . Not only are the spillages a safety concern; blowouts, explosions and fires lead to 91 fatalities reported between 2003-2008 . Tight UK regulations ensure fracking operations cease for 18 hours after any earthquake above 0.5 on the Richter Scale, as opposed to a rating of 4 in the US  . This minimises significant earthquake risk, but such tight restrictions threaten the industry altogether . As part of the 2015 Paris Climate Agreement, the government has an ethical duty to minimise climate change impact by reducing carbon emissions, relating to Kantian Theory of moral right. The UK’s move from coal to gas has reduced CO2 emissions; but fracking releases large quantities of methane, which has a significant impact on our carbon footprint . 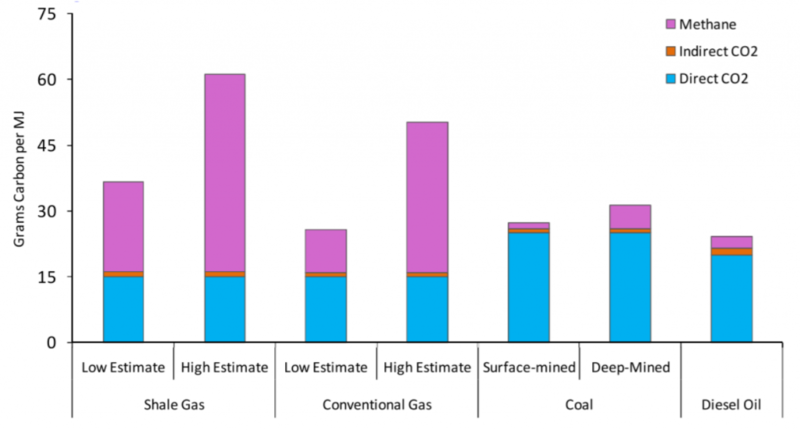 Figure 1 shows the 20 year projected impact, and predicts much higher methane emissions from fracking compared to conventional gas, due to various process losses . Another ethical standpoint is that of utilitarianism. From this view the government should support whichever decision brings the greatest pleasure to the largest number of people. The latest public opinion polls on whether fracking should be carried out in the UK show that 18% support it, 32% oppose, and 47% are impartial . Based on this data, it can be argued that preventing fracking development would provide more pleasure to the UK population than allowing it, at least in the short term. Furthermore, the majority of shale reserves have been found in highly populated areas, and there is significantly more resistance in local communities, who arguably deserve more of a say. Land ownership rights are also an important ethical consideration. Under the UK Petroleum Act 1998, all shale deposits belong to the Crown, unlike the landowner in the US . Additionally, the Infrastructure Act 2015 allows oil and gas drilling below 300m without the landowner’s consent . This leaves landowners particularly vulnerable, as they have little say over whether drilling can occur under their property and little control over their financial compensation or legal support. This links closely with Care Ethics, in which the government is responsible for the well-being of its dependant citizens. Concerns have been raised over how liable landowners will be for adverse environmental impacts once drilling operations have stopped, as well as the financial compensation they will receive. Great article! Is it correct to say utilitarianism is the decision bringing greatest ‘pleaseure’ to most people or would ‘wellbeing’ be more accurate? It may well bring pleasure to anti-frackers if fracking were banned but it could be argued that they might be better off (financially, from cheaper energy prices) if it were allowed, despite it being against their wishes? Kind of like how although a child might want to have ice cream for dinner every day, it is better for them to eat gross vegetables. Also, considering the political mess we are currently in, is it ethically sound practice to put this sort of major decision in the hands of the populous, rather than experts (ie geologists, physicists, mechanical engineers etc)? Personally, from what little I know, I am against fracking. From the graph in your article, it would appear that fracking has great potential to harm the environment and I think it would be far more ethical to invest in the use of predictable and consistent renewable energy, such as tidal power. Very interesting article on an ethically complex issue. A common argument against fracking is that it is wrong to make fossil fuel energy generation more commercially viable, potentially encouraging longer term use of fossil fuels that we should be looking to move away from. W.r.t this issue, its interesting that figure 1 suggests that natural gas has either a higher or negligibly lower climate change impact than coal. The figures are even worse when accounting for methane released from fracking: It is possible that energy produced via fracking has twice the climate change impact of conventional coal! This huge negative environmental impact has the potential to re-frame the entire debate and makes the integration of natural gas into the UK supply very dubious. I think you highlight some strong points about the positives and negatives of allowing fracking in the UK. I would question whether, from a care ethics perspective, it is appropriate to argue that the UK should support fracking due to the reinvestment in local communities from fracking companies. When considering care ethics, surely you can’t consider the positive reinvestment in isolation, and you should pay attention to the negative impacts you mention later, such as pollution to water supplies and potential liability to landowners. From a care ethics perspective, I think the UK should not allow fracking. I think the poor morals of OPEC countries is a reason to not pursue coal and gas, but not necessarily a reason to increase fracking. There are many other technologies that could replace our dependency on fossil fuels. I agree that the potential benefits of jobs is a great opportunity in communities that used to rely on the fossil fuel industry, but again I think there are alternative technologies that could achieve the same affect, such as offshore wind power. Overall I would agree with Wrightrj03, I think investment should be aimed towards more environmentally friendly methods of power production, fracking clearly releases a lot of CO2. Very thorough and in-depth article covering the ethics around the use of Fracking. In my opinion the drawbacks greatly out weigh the positives in the use of shale gas extraction and the eventual burning for power generation. I would favour a re-think into which countries our current oil/gas is sourced rather than considering shale. This would avoid the issue with with the ethics and morality from sourcing fossil fuels from Saudi Arabia, Russia etc, whilst still having the availability of a cleaner burning energy source, which will have a smaller impact on the local UK environment and atmosphere, when compared to fracking. This is a strong evidence based article highlighting the key advantages and disadvantages of fracking in the UK. A key concern with fracking is the associated earthquake risk, that fracking can affect. A recent study by Yoon et. al (Journal of Geophysical Research: Solid Earth, https://doi.org/10.1002/2017JB014946, 2017) further highlighted the case that earthquakes can be triggered by hydraulic fracturing and waste water disposal. In the UK the risk of earthquakes has high potential for concern due to the population density especially with known deposits in areas such as Manchester, Edinburgh and Glasgow. However the report by Yoon et. al also discusses the availability of cost effective monitoring techniques that can reduce the risk of earthquakes, so with reliable continuous monitoring earthquakes may well not be a large issue. My opinion would be not to invest in fracking and instead focus on the movement towards nuclear energy as a reliable and consistent energy source with a lower potential for harm to the public and environment. I think that the fact the earthquake regulations are really tight in the UK is great. I think the safety of people is far greater than the benefits of fracking. I recently watched a news segment about fracking in Europe (I sadly can not find the article to link). They showed the devastating structural damage that earthquakes due to fracking had causes. They had damages houses, farm barns, churches etc, therefore effects all aspects of the community. What was even more scary was that the fracking companies had said the earthquakes were of a smaller magnitude than what they actually were, hence why fracking did not stop. I think the prospect of dangerous earthquakes out-weight the potential benefits of fracking, especially with what Jcapindale said about fracking sites being near areas of large population. Really interesting article, I think I’d agree with DWebb’s point that a reason not to source oil from OPECs shouldn’t necessarily be used as a reason to increase fracking specifically, when other options could be more viable. Some of the legislation that has already been passed in the UK to make fracking viable for the government is interesting, particularly that the landowner’s consent is not required below 300m. I think it could be argued that even though from a legal perspective they have no obligation, ethically carrying out an action that has the potential to have detrimental effects on someone’s property (as in HWill’s comment) should really require their consent. Personally I would say government should be doing what they can to encourage companies and researchers to move away from fossil fuels in general, and towards either renewable (e.g. tidal, etc), or at least clean (e.g. nuclear) energy sources. Fracking is a bridge to renewable technologies, while it’s nice to think that we can just invest in renewables or nuclear and that’ll solve everything, the reality is far from this. Nuclear is behind it’s own predicted advances in technology and new plants being built by companies like eon are forever being delayed. Renewables on the other hand require so much more space to produce a fraction of the energy. As more and more people move toward electric vehicles energy demand is going to rapidly increase and we need something to bridge that gap in the future that isn’t coal. If fracking releases more methane than similar technologies then I’m against it, since methane is, if I recall correctly, worse than carbon dioxide in terms of global warming. Overall, I think this is a very good article, and I don’t have any comments to add at this stage. Great article to read and certainly some interesting points from both sides of the argument. Looking at it from the side of security for the UK’s energy supply, considering that significant amounts of energy are imported, the UK doesn’t seem to have much choice but to allow fracking. There are the arguments for nuclear and renewables, and I certainly favour them over fracking, especially nuclear, however without the government investing significantly more into these and putting more reliance on these technologies, another resource must be used. I think the virtue ethics view was certainly an interesting look on the situation. Looking at the UK dealing with countries accused of unethical conduct is certainly not virtuous, especially when the UK is meant to be considered one of the worlds strongest nations and should be leading by example. However, I think it’s important to consider that it is the UK’s duty to maintain not just a strong domestic economy, but also a reliable one, and without energy security that isn’t possible. The amount of energy required for each sector we invest in or rely on is astronomical, and without the security of energy we risk an energy deficit and potentially a crash in industry. Which opens the question, is it not virtuous for the UK to capitalise on the available resources in order to avoid a potential energy crisis and avoid putting the UK economy into unnecessary risk? Very interesting debate, especially in light of recent environmental protests against fracking. In my opinion, yes, fracking should be legalised in the UK. As the article says, we need shale gas as part of our energy supply and it’s better having it in operation in the UK as the process can then be fully monitored and better than importing from countries with dubious human ethical policies. In addition to this, natural gas, or shale gas, is a key part of the UK’s energy supply, and whilst there is an obvious importance of a move towards greener energy sources (i.e. not fossil fuels such as shale gas) it is imperative that the energy security of the UK is guaranteed. Furthermore, claims made in anti-fracking protests seem some what unsubstantiated and exaggerated, I am all for reducing the effect we have on this planet but I think efforts would be better focused on finding the solutions to low emission energy rather than preventing fracking.